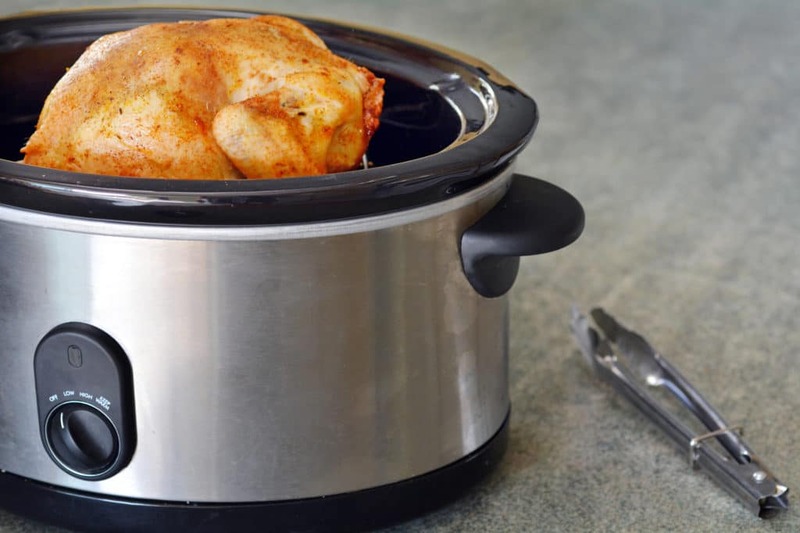 Best Slow Cooker Reviews UK 2019 - Which One Tops the List? 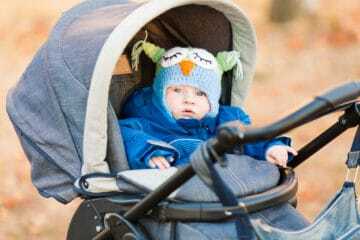 Best Slow Cooker Reviews UK 2019 – Which One Tops the List? 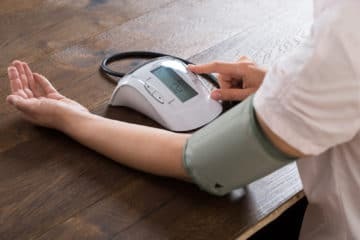 A slow cooker, colloquially known as a crock pot, is a kitchen appliance that uses the method of slow-boiling food to easily create a variety of meals that is good for your health. Simmering at such low temperatures extracts flavours from meats and vegetables over a longer period, without resulting in burning. Therefore, it is one of those useful tools which enable you to simply set-it-and-forget-it and enjoy a delicious meal with little effort. The best slow cooker allows you to serve less expensive cuts of meat that may be tough to chew, reduce the chances of burning your dinner, as well as help free up your stovetop or induction hob in the process. But which slow cooker is good for you? 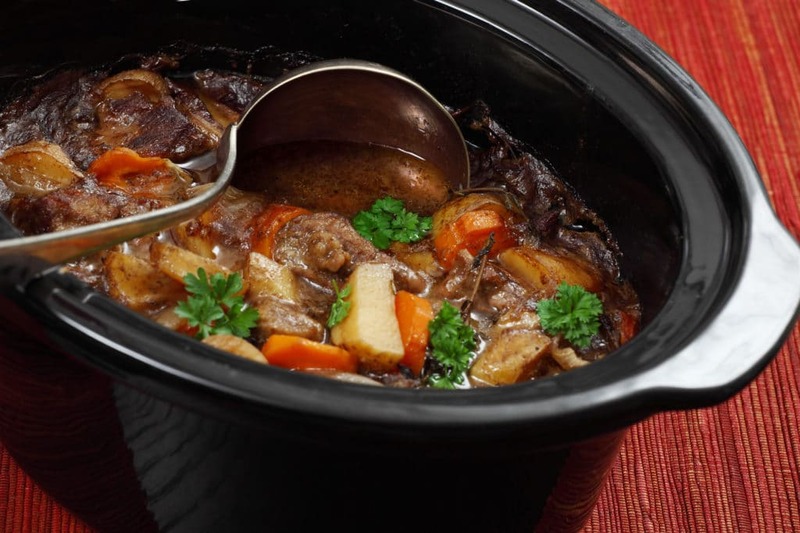 In this article, we take a look at our top 10 slow cooker reviews so you can decide yourself. 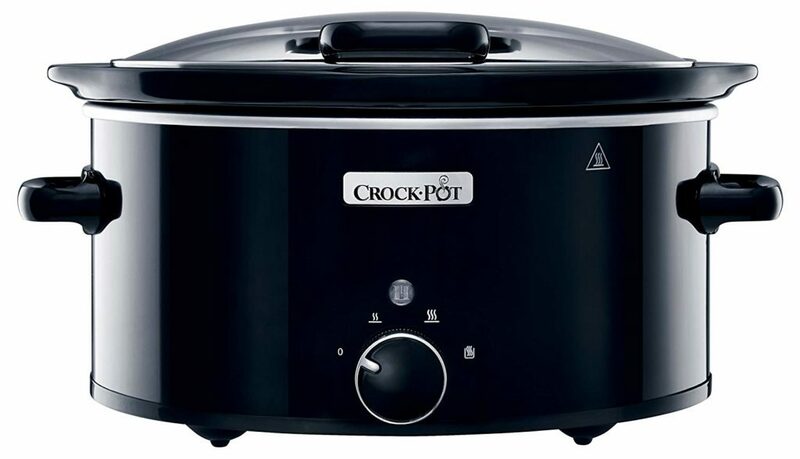 If you’re looking for a classic style slow cooker with some modern twists, the Crock-Pot CSC026 is a great choice. This slow cooker offers all the benefits of a traditional slow cooker, with some handy extra features thrown in. For example, if you like to prepare lots of meat dishes, you will find the die-cast aluminium removable pot very useful. This enables you to pre-sear the meat on the hob first, without having to use any extra pans. The pot and glass lid are also oven-safe, so you can easily transfer your meal to the oven for an extra boost if required. 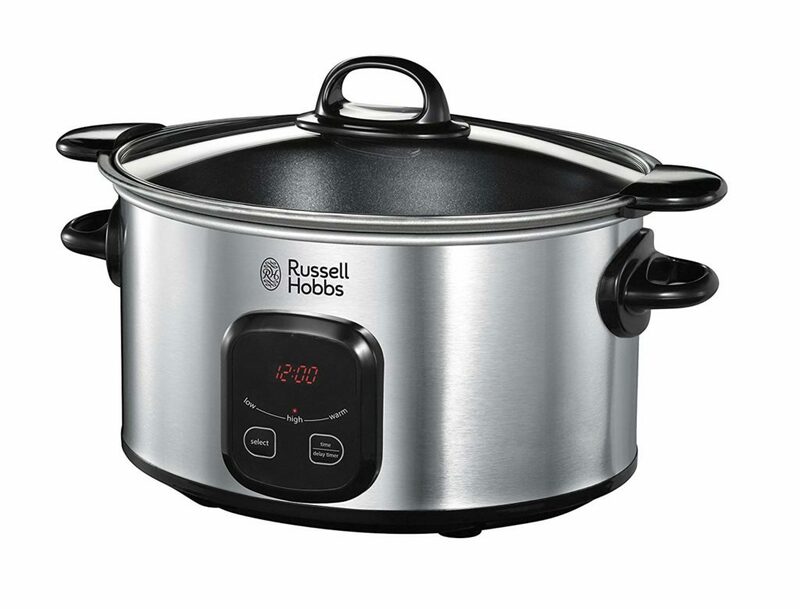 Furthermore, this slow cooker features an ‘auto keep-warm’ function, which ensures that once your food has been cooked, it’s still kept warm, so you don’t have to rush back if you get caught up with friends or at work. 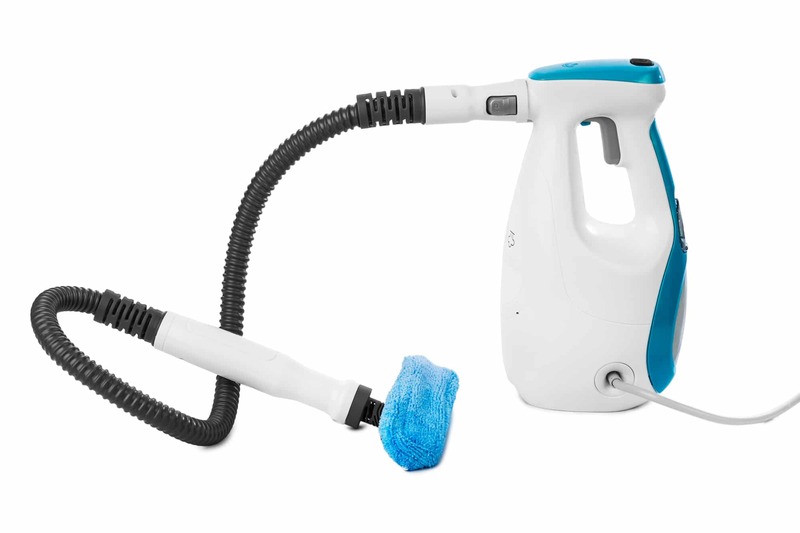 The non-stick Duraceramic bonding makes it very easy to clean, but it’s not dishwasher friendly, which may be a deal breaker for you if you hate washing up. With a 5L capacity, it’s ideal if you have a family to feed, or for those occasions when you’re having friends over for a dinner party. Moreover, thanks to its LED timer, there’s no need to keep an eye on it; so you can relax while you know your food is being well cooked. However, some users found this timer wasn’t very durable and broke easily. Digital timer with LED countdown. Auto keep-warm feature means that food stays warm until you’re ready. Big enough to cook for a whole family. LED timer isn’t very durable and may break quickly. Colour can begin to flake very easily. Just as the name suggests, the Morphy Richards Sear and Stew allows you to keep the washing up to a minimum, by offering you the option of searing meat in the bowl first. This is a great feature if you like your stews and casseroles, as it enables all the other ingredients to soak up the meat juices and flavours during cooking. Weighing less than 2 kilograms, this low-cost slow cooker is lightweight as well as extremely durable. The pot is shatterproof, which is useful if you’re naturally clumsy. It is also non-stick and dishwasher friendly, however, the coating wears off rather quickly. 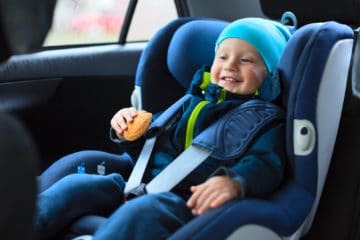 The 3.5L capacity is large enough for a couple, but you may struggle with this size if you have a family of three or more. Multiple heat settings allow you to be flexible with meal options and cooking durations; so you can leave your dinner cooking for longer if you are going to be out all day until late. Unfortunately, this slow cooker doesn’t have a built-in timer, but the see-through hardened glass lid means you can monitor your food without removing the lid and letting all of the heat out. Bowl is hob-safe so you can sear meat without using another pan. Pot can be washed in the dishwasher. Hardened glass lid, so it’s easy to monitor cooking. Non-stick coating can wear pretty quickly. Can still smell of food even after being washed. No built-in timer means you’ll have to constantly check on your food. If you need to prepare meals for a big family, the Andrew James could be the best crock pot for you. Offering an impressive 8-litre capacity, this slow cooker is large enough to accommodate plenty of food for everyone, in only 1 pot. Once your meal is ready, the removable ceramic bowl makes it easy to carry to the dinner table, where your whole family can dish up as much as they like. There’s no timer function, so you’ll have to keep an eye on your meal yourself. However, a strong tempered glass lid means you can check the progress without having to let heat escape. Three heat settings enable you to prepare a wide variety of dishes, from stews and casseroles to desserts; which is useful if you have a busy lifestyle and prefer to ‘set it and forget it’. However, this slow cooker isn’t dishwasher safe, so you will have to put the work in when it comes to washing up. 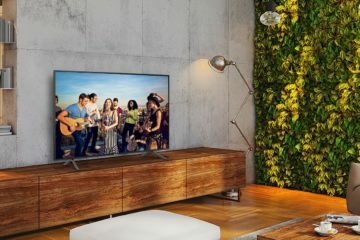 If you are watching your bills, it is also an economical choice. 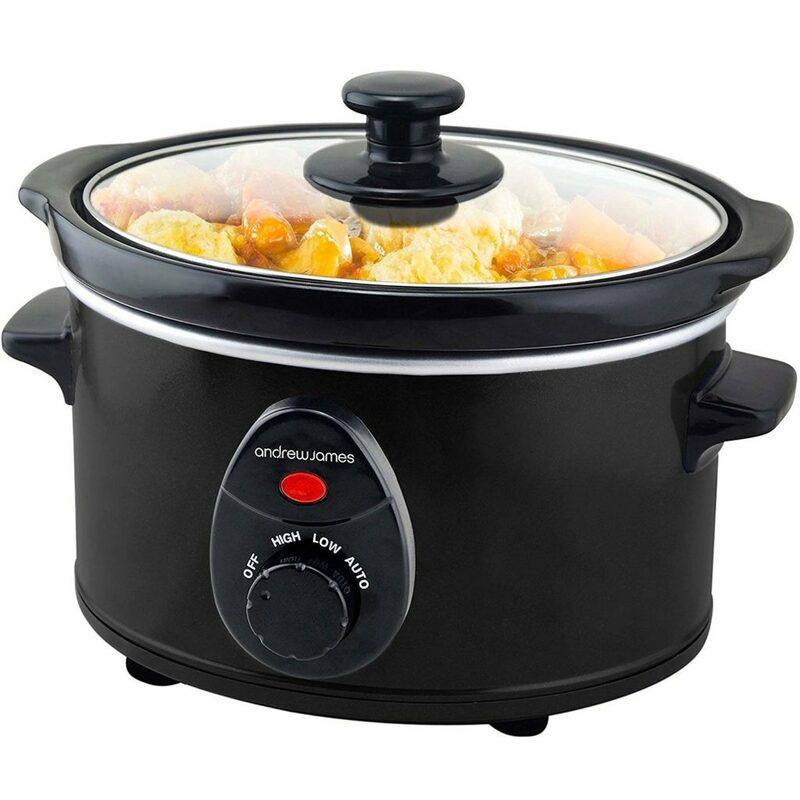 Using only 380W, this slow cooker consumes much less electricity, so you can enjoy daily use without worrying about energy costs. Large size makes it perfect for cooking for parties or large families. Uses less electricity, making it quite economical. Removable ceramic bowl makes it easy to transfer to dining area. Capable of cooking a variety of different meals. If you like your home to look smart, you will appreciate the sleek, silver stainless steel design of the Russell Hobbs Digital 22750. Offering smart digital controls and a useful hob-friendly searing pot, this slow cooker is yet another model which can reduce your need for multiple pans when cooking meat dishes. A useful delay timer can be used to set the time you wish cooking to commence – which is great if you have a busy day ahead and want to be sure your meal is just right when you’re ready to eat. Furthermore, the special ‘auto’ setting aims to protect your food from being overcooked, by automatically reducing the temperature towards the end of the cooking duration. However, a few users found this to be unreliable, with the temperature remaining too hot for some delicate dishes. Unfortunately, this model isn’t dishwasher friendly, so you’ll have to clean by hand. You’ll have to be careful when you handle it too, as some users found it cracked easily if dropped. Removable searing pot can be used on electric and gas hobs. Auto heat mode to prevent overcooking. 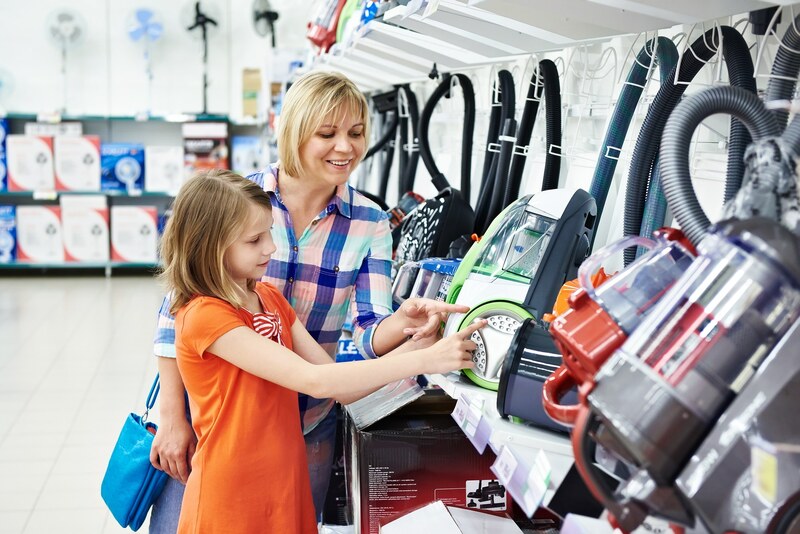 Many slow cookers are aimed for those who have families, but if you are a single person or a couple, you are unlikely to need a slow cooker with such a large capacity. 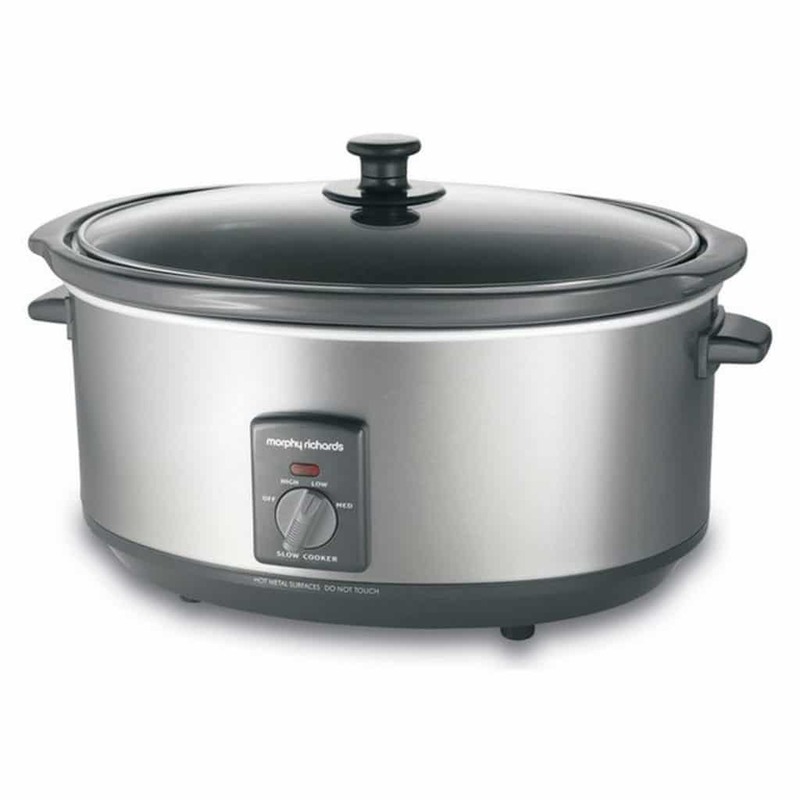 In such cases, the 1.5L slow cooker from Andrew James is a great choice. This compact slow cooker can cook meals large enough for up to 6 portions, so even if you have friends over, there will still be enough for everyone. It offers three temperature settings, enabling you to prepare a large variety of meals, and also includes a useful ‘auto’ function which turns the temperature down and maintains it for perfect results every time. Furthermore, the inner bowl is removable, which makes it easier for you to carry to the table, as well as clean up after you have finished your meal. Well-suited to smaller homes on a budget, this best slow cooker for a single person uses little electricity so you can enjoy delicious meals every night, without receiving a shock when your power bill arrives. 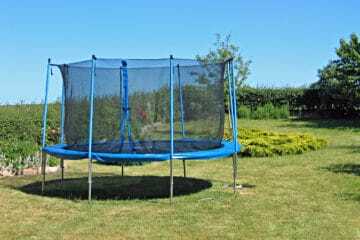 However, a few customers complained about its durability. In particular, the control knob seems prone to falling off, so you may find you need to replace it sooner than you would like. Small enough for a single person. Has a number of different temperature settings and an auto mode. Can cook a variety of different meals. Removable bowl makes it easy to clean. Poorly designed controls make it hard to read. Offering a large 6-litre capacity, the Sage by Heston Blumenthal slow cooker can produce high-quality meals for large families or those occasions when you are entertaining friends. 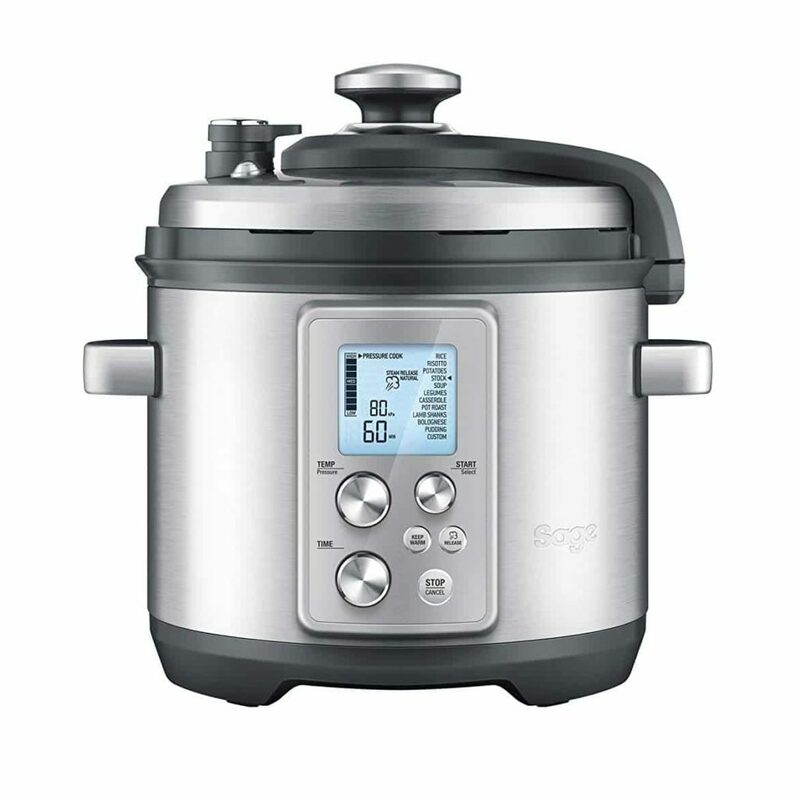 Able to pressure cook, steam, reduce, sear and saute too, this slow cooker provides you with the versatility to create almost any dish you please. An LCD screen keeps you informed of progress, while the multiple pressure levels and 12 smart menus can make you feel like a pro chef. When you combine these features with accurate temperature sensors, built-in programs and sensitive pressure control, you should find creating delicious meals hassle-free. Having said that, there are a few downsides to this otherwise impressive slow cooker. 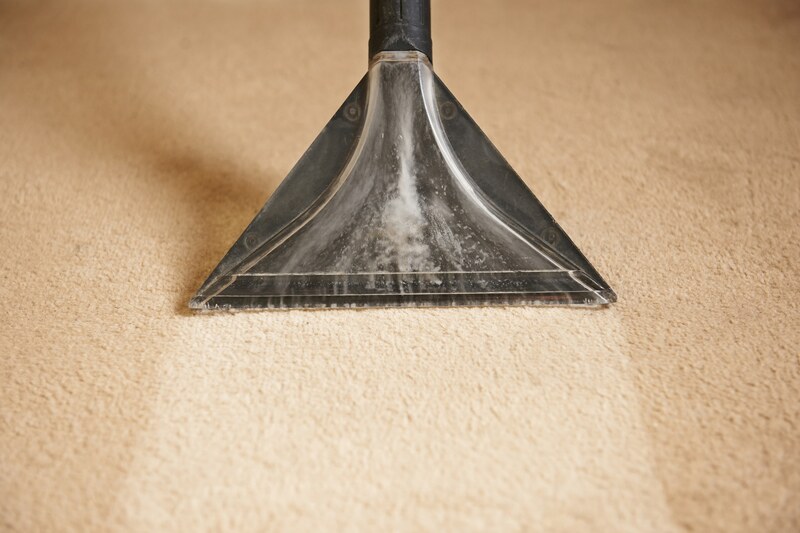 Many people found that it retained food odours even after thorough cleaning, which you may find off-putting. The valve seal also isn’t very durable, with users complaining it started to wear within a few months of use. Lastly, the cooking alert sounds are not very loud, so you may miss the alarm if you are in another room. 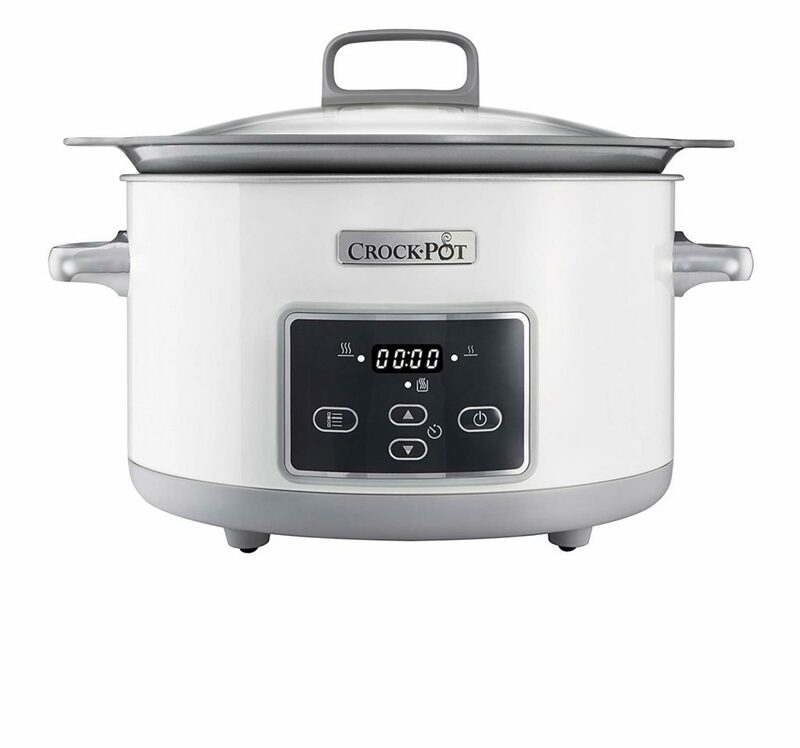 If you like to have big gatherings of friends or family, the Crock-Pot CSC031 could be a great option. Offering a 5.7-litre capacity, it can contain enough food to dish out 6 servings. It is perfect when you have more many mouths to feed. Thanks to its oven friendly parts, your culinary choices are not limited, so you can choose from a wide variety of dishes to impress your guests. If you get caught up in conversation, the automatic keep-warm feature and removable pot ensure your meal won’t go cold if you end up eating later than planned. Once you’re ready to eat, the hinged lid makes the contents easier to serve, without any mess on the countertop, however, food can get into the hinges. This is compounded by the fact that this slow cooker isn’t dishwasher friendly, so you’ll have to clean up by hand once your guests have left. Removable pot if you want to serve at the table. Large enough to cook for a big family or a gathering. Paint can start to peel off fairly quickly. The Morphy Richards 48718A slow cooker is a good choice if you are searching for a day-to-day appliance which can prepare healthy meals for the whole family. Able to cook everything from curries and casseroles to meat joints, the large 6.5L capacity means there will be plenty of food for everyone, and maybe even some left for your lunch the next day. Like many other slow cookers, this model features a removable pot for effortless table serving, which is a nice way to gather your family together for quality time. The cool touch handles also mean it is safe to transport without burning your hands and dropping your dinner on the floor. Three heat settings are provided for cooking flexibility, but unfortunately, there is no built-in timer, so you will have to monitor the food yourself or buy a timer separately. Furthermore, many customers complained that the non-stick surface flaked off easily and that it also seemed to retain food smells, even after being put through the dishwasher. Non-stick surface can flake away after only a few uses. If you are part of a busy small family, the Prestige offers an easy to use solution to home cooking. The 3.5L capacity is big enough for up to 4 people, and the inclusion of a digital programmable timer means you can simply set the cooking duration and get on with your day, without having to worry about burning your evening meal. 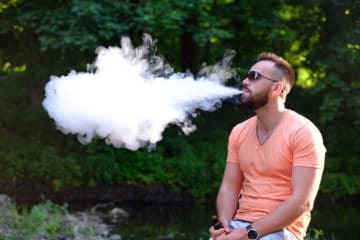 The timer can be set from as little as 30 minutes to a maximum of 20 hours, but some users found the display difficult to read. Once the timer ends, it will automatically switch to a keep warm mode; so even if you get caught in traffic, your meal should be warm and ready for you once you get in the door. 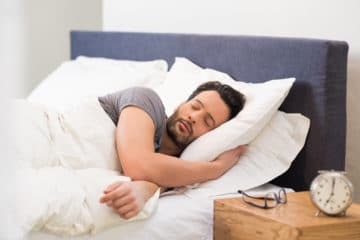 Having said that, a few people found that the temperature inside can be uneven, meaning that bigger meals come out slightly undercooked on some sides. Easy to operate LCD display. Cooks enough food for an average sized family. Inside temperature can be uneven. Lid handle can come off easily. 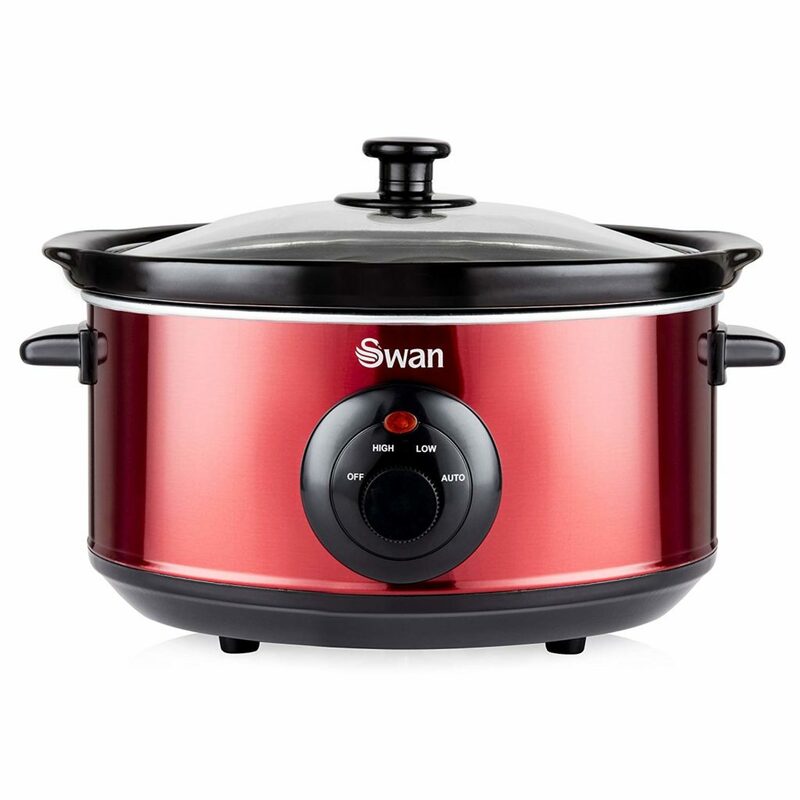 Offering an attractive red design, this 3.5-litre slow cooker by Swan is a funky, yet functional choice to liven up your home. With variable heat settings, you can easily prepare a large variety of warming meals, without having to slave over multiple pots and pans. In line with other slow cookers we have seen, the Swan 3.5L offers a convenient keep-warm function, so you don’t need to rush home when dinner is ready. Also, if you prefer tender meat dishes, the shape is well-suited for joints, with lots of room for your accompanying vegetables to stew in the juices. On the downside, there’s no timer, so you’ll have to use your phone alarm or similar to notify you when the time is up. The toughened glass lid makes it really easy to check on progress without letting all the heat escape. But some people felt that the lid could’ve fitted more closely and didn’t create a perfect seal, which extended cooking times. Removable pot and dishwasher safe makes it easy to clean. 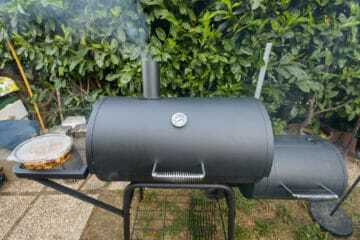 Shape makes it ideal for meat joints. Toughened glass lid means you can monitor food while it cooks. The modern slow cooker hasn’t changed much in its design since it was popularised in the 1970s. Most have an oval pot and a lid which are made out of ceramic, porcelain or glass. 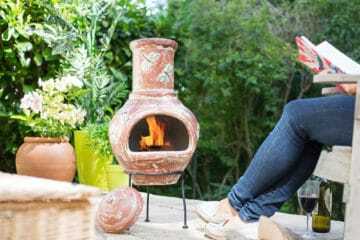 An electric heating element heats up the pot in a controlled manner, so you can leave it running and get on with your day. These appliances are a fantastic way to cook wholesome, warming meals that are good for your health without slaving in the kitchen all day and creating lots of washing up. Furthermore, they retain more nutrients from the ingredients, as everything is all cooked together and the juices are generally not drained away after cooking. Overall, slow cookers offer a good way of cooking nutritious meals without the hassle. The design of a slow cooker is certainly akin to other appliances. 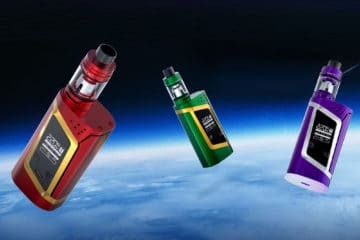 But even though they may look alike, before you buy, it is important to understand that they have different mechanisms. 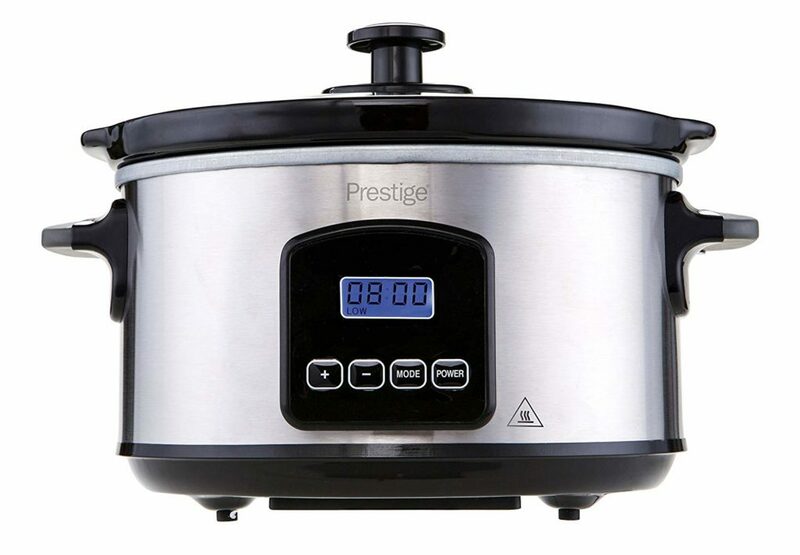 Pressure cookers can quickly steam foods until they are thoroughly cooked, with the ingredients sealed within the pressure cooker capable of being cooked within minutes. Unlike a slow cooker, a pressure cooker is better for those with more culinary skills, as they tend to be more difficult to use to get the end results just right. This is because you simply cannot remove the lid in a pressure cooker while it’s still on the stove, which bars you from the visual cues that your food is thoroughly cooked and ready to be consumed. That said, some newer models of slow cookers also combine capabilities from pressure cookers, making for a multi-functional appliance. On the other hand, a slow cooker is much safer and easier to use than a pressure cooker. Even though it will not cook as fast as a pressure cooker, the slow simmering function extracts the natural flavours from the ingredients, making for a really tasty meal with little effort. They’re also convenient to use since all you need to do is mix in your ingredients and set it aside for several hours. Cheaper cuts of meat are tenderised to a greater degree when slow cooked, too. Slow cookers can also appear similar to a rice cooker, but these employ a different type of technology. While slow cookers are designed to simmer your dish over the extent of several hours, rice cookers are designed to boil rice. Most of the dishes that you want to prepare in a slow cooker are therefore not compatible with a rice cooker. Slow cookers save time, money, and give you the option of creating more dishes that are good for your health because it has less fat. However, there are many features and factors that you need to consider before you buy a new slow cooker. 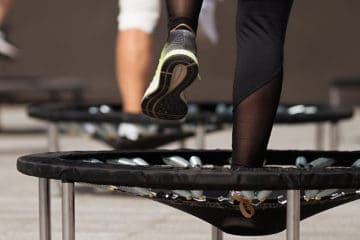 If you’ve already decided that you want to jump the bandwagon and buy it for yourself, here are some things to think about in your search. As mentioned, ceramic and porcelain generally make up the body of the slow cooker pot. These materials dissipate heat evenly and reduce the likelihood of any hot spots which can contribute to unevenly cooked food. Regardless, if it is made from ceramic, metal, or porcelain, slow cookers are designed to be efficient. Therefore, which material you choose is up to your personal preference. The material of the lid is also important. When using a slow cooker, you do not want to raise the lid because the steam, and heat will get out. Look for a ceramic or glass cover that allows you to visually monitor your food without disrupting progress. 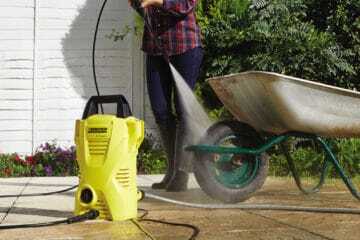 Whichever material you prefer, make sure that it is easily removable from the body for easy cleaning. If fused to the cooker’s chassis, then you will have a difficult time cleaning it once you are done using it. Furthermore, many slow cookers feature dishwasher-safe parts, which is certainly beneficial unless you particularly enjoy washing up. 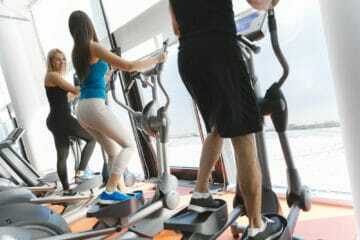 Consider the placement of the heating element in the machine. Most only have a heating component at the bottom of the crockpot. 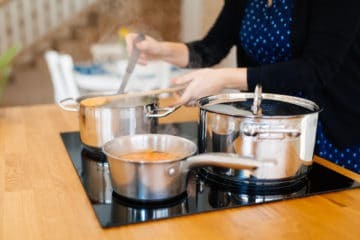 Even though they are viable for most liquid-based recipes, those which feature a heating element that evenly distributes heat along the bottom and sides of the pot will ensure safe and even preparation of dishes, especially those which involve meat joints. 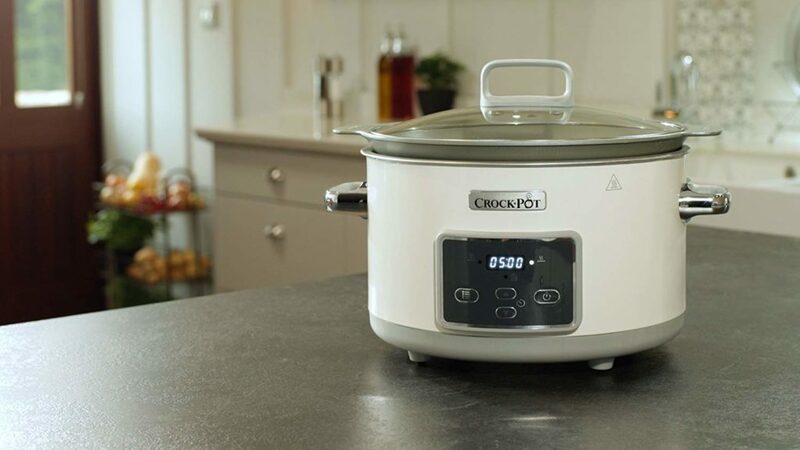 Each of the options in our slow cooker reviews would undoubtedly make great choices, but if we had to choose our favourite, it would have to be the Crock-Pot CSC026. We were really impressed by the option to sear meat on the hob first, without having to use another pan. We also liked how it is oven-safe, so you have even greater flexibility with your meal options. The keep-warm function is an added bonus, which when combined with the digital LED timer, certainly makes for a stress-free cooking experience. Last but not least, we like how the 5L capacity is generous enough to accommodate large gatherings, but still remains easy to clean when all your friends have gone home. 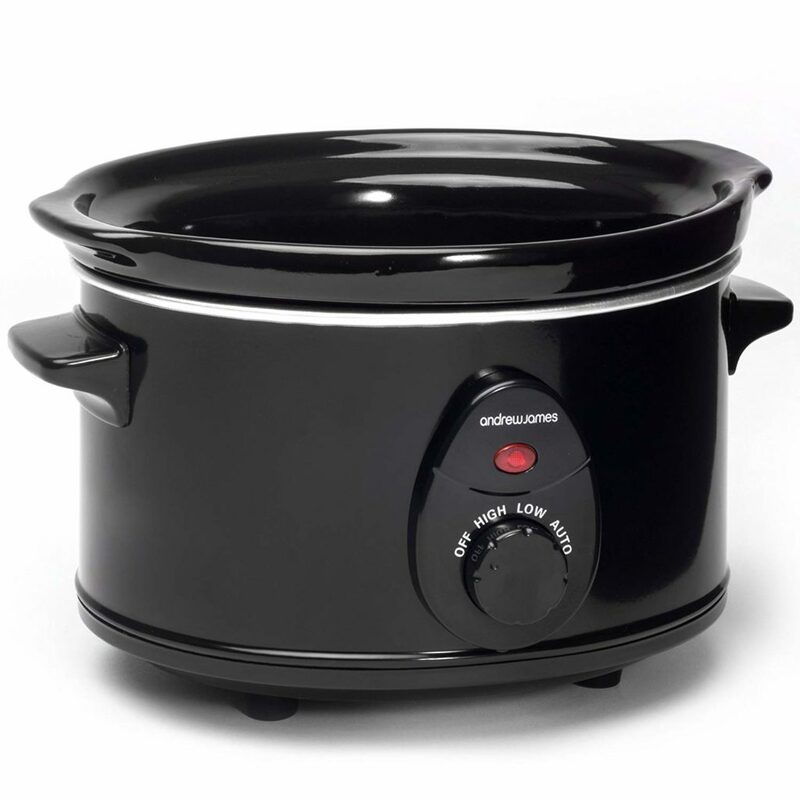 Overall, we think the Crock-Pot CSC026 just has to be the best slow cooker on our list.